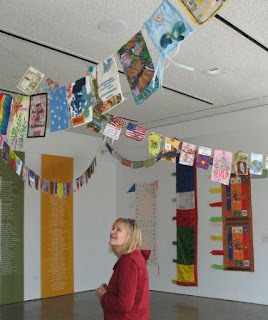 Over the weekend, a group of us took a trip down to the Oceanside Museum of Art to see the Prayer Flag Project and Quilt National exhibits. 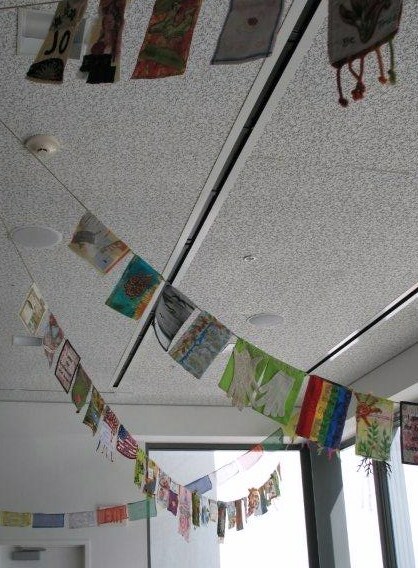 It was fabulous to see what everyone has contributed hanging proudly in the lobby area! I hope you get a chance to visit before it closes at the end of December. And the Quilts are not to be missed either! 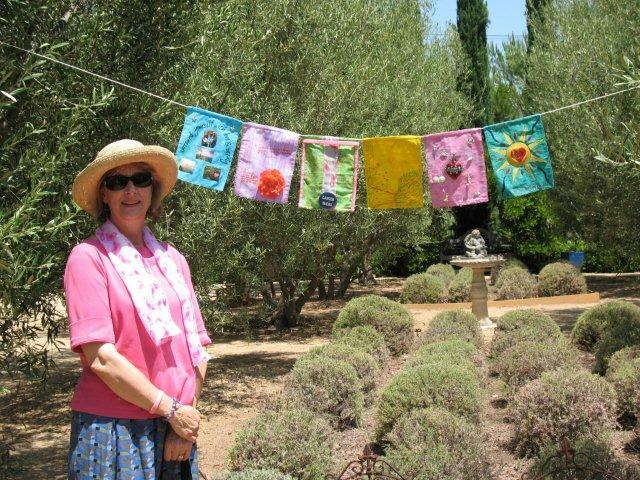 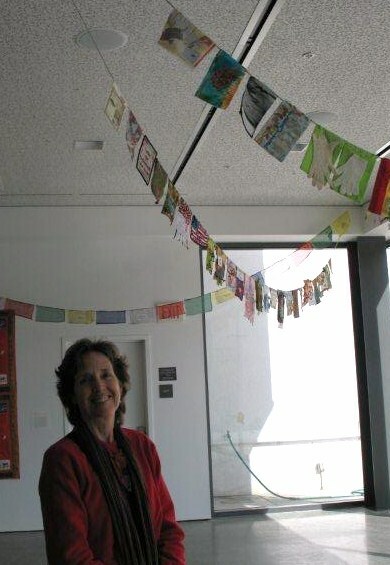 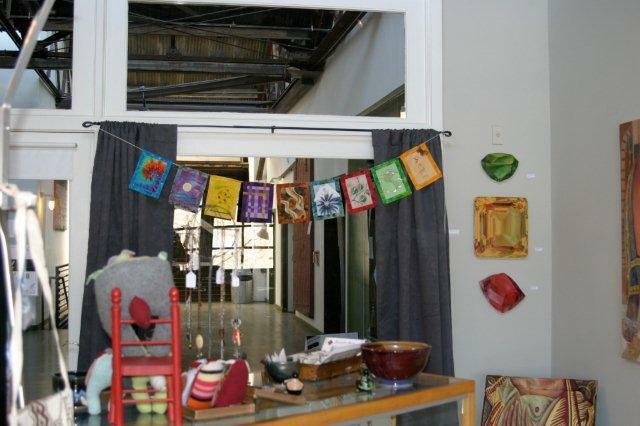 The OMA Prayer Flag Project exhibit opened at the Oceanside Museum of Art on Saturday. 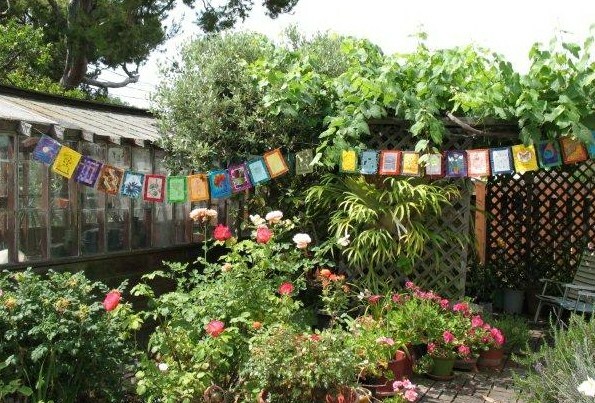 I was not able to attend the opening, but intend on going in the near future. 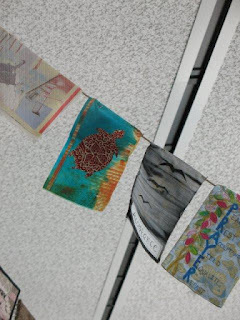 Here are some photos from the evening as posted on the Prayer Flag Project blog. The flags will be on display in the museum lobby through December. This exhibit runs concurrent with Quilt National and Fiber Dialogues (these both close on February 12, 2013). 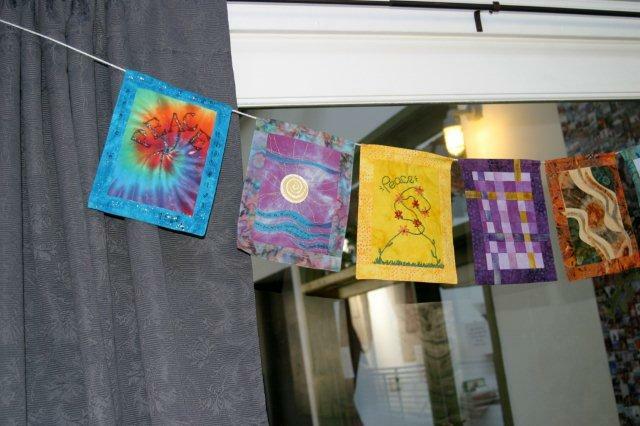 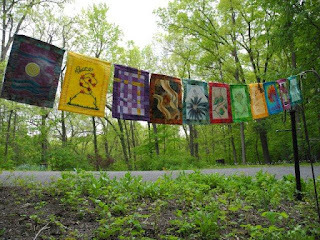 Inspired by Quilt National, the flags provided the regional quilting community an opportunity to share prayers and expressions. 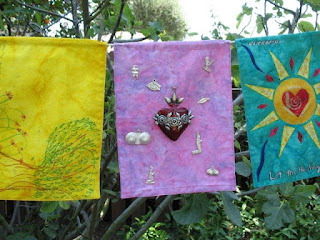 While the final flag of the third set is currently in progress, I thought it was a good time to revisit and share the beginning of this group from the Bhavana Project. 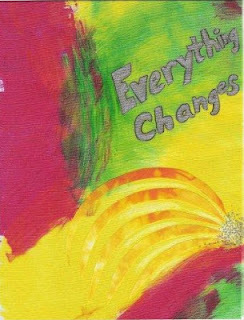 In January 2009 I began the set, using sun imagery and words that inspire me from one of the Vedic peace chants, Sahana. Traditionally this chant is done between teacher and student to open the teaching. 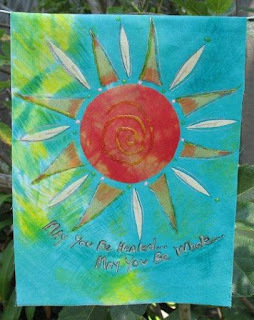 The translation reads: "May we be protected and nourished. 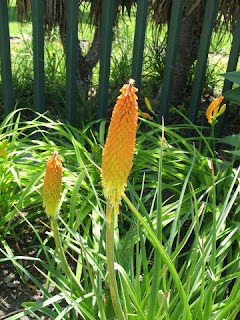 May our actions flourish with energy, clarity and friendship. Peace, peace, peace." 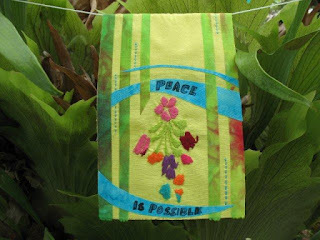 It seemed an appropriate beginning for the flags' journey under the theme of Peace. 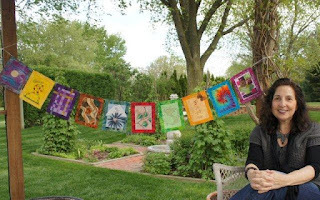 I recently organized a group prayer flag project to support my friend, Elizabeth, by asking friends to share their wishes for her healing on a flag. 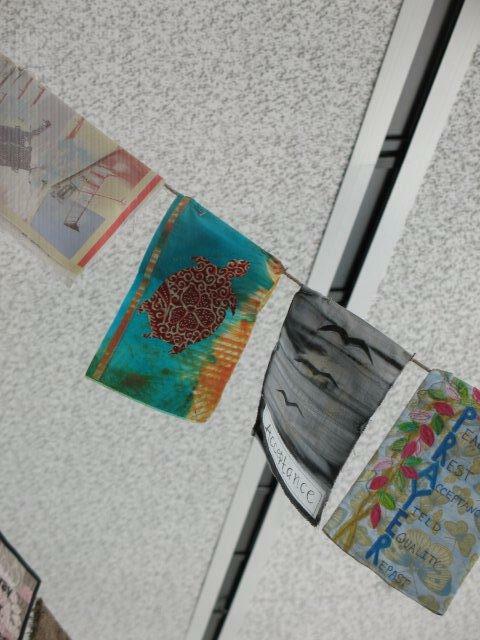 All were happy to contribute, though some may have felt daunted by the task at first. 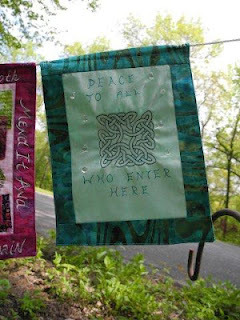 In the end it all worked out beautifully, with each person finding a unique means of expression. 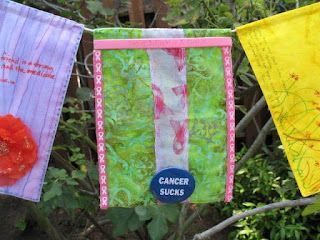 I believe I can say that all benefited in some way. 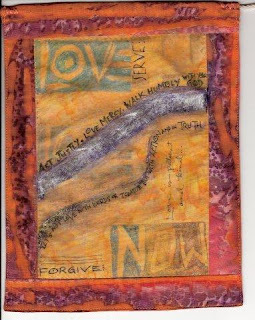 It was a shared connection in the healing process. When we gave the beautiful set to Elizabeth, she was deeply touched by each heartfelt expression of love. 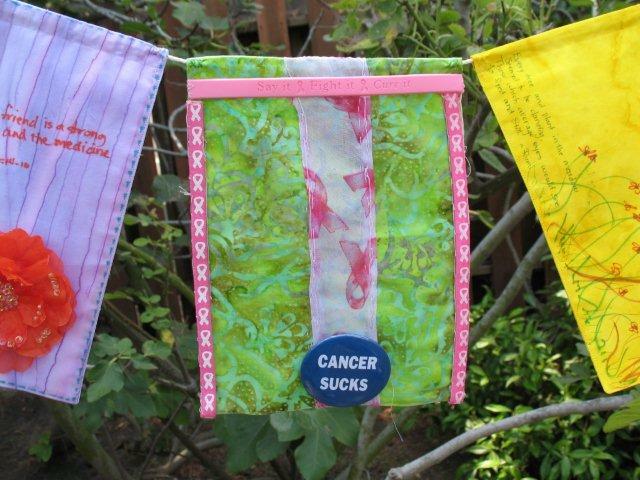 I encourage you to make flags for your loved ones. It is a wonderful way to share the love! Check this out! 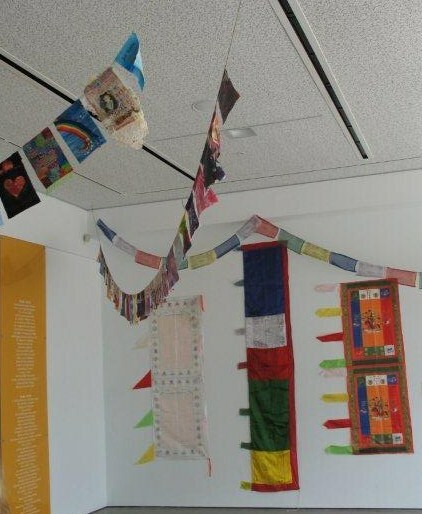 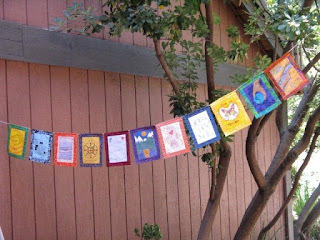 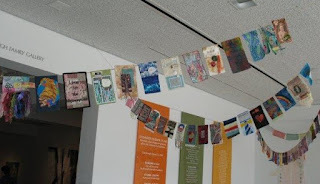 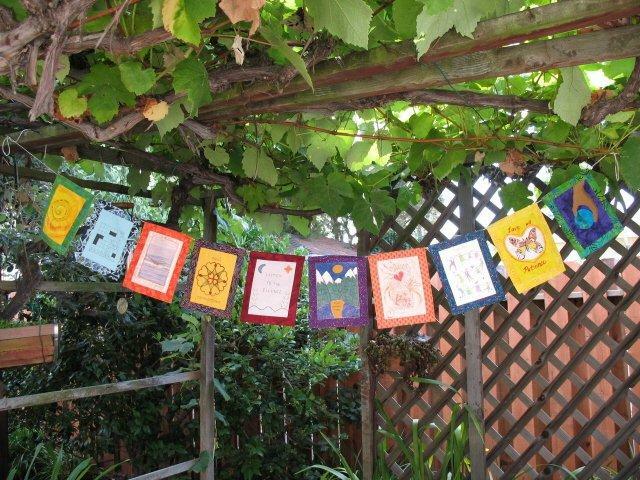 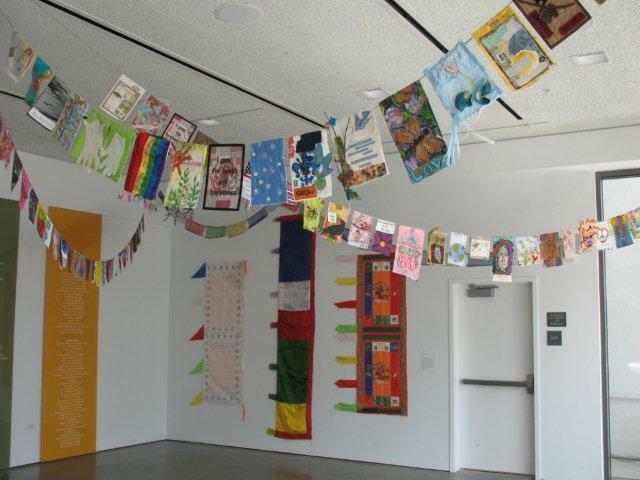 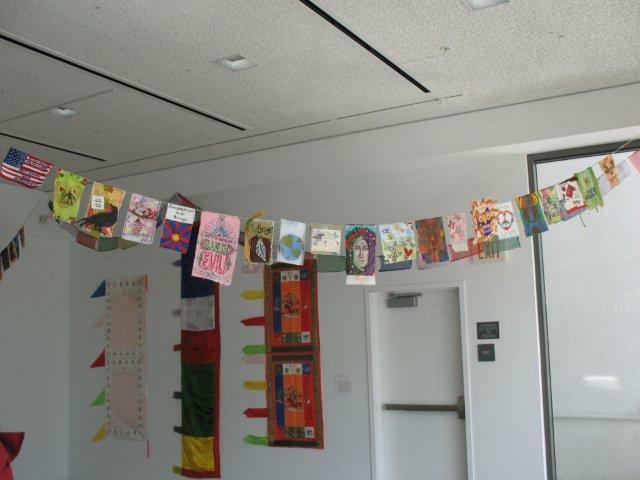 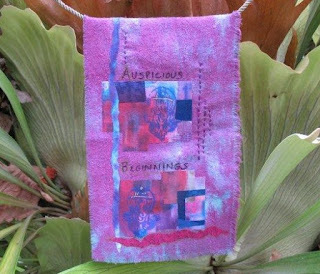 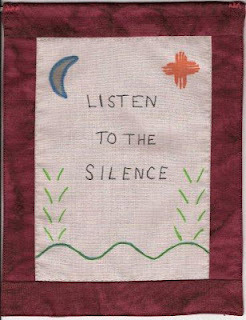 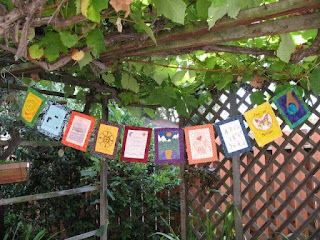 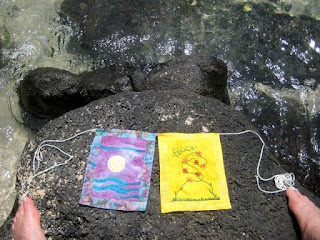 Share your aspirations by creating a prayer flag and submitting it to OMA’s Prayer Flag installation on view at the Oceanside Museum of Art October 14 through December 31, 2012. 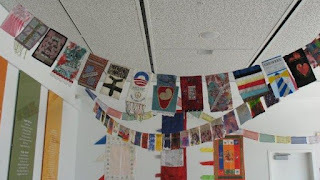 Artists are invited to design a unique flag made of fabric or other materials reflecting their hopes and dreams. 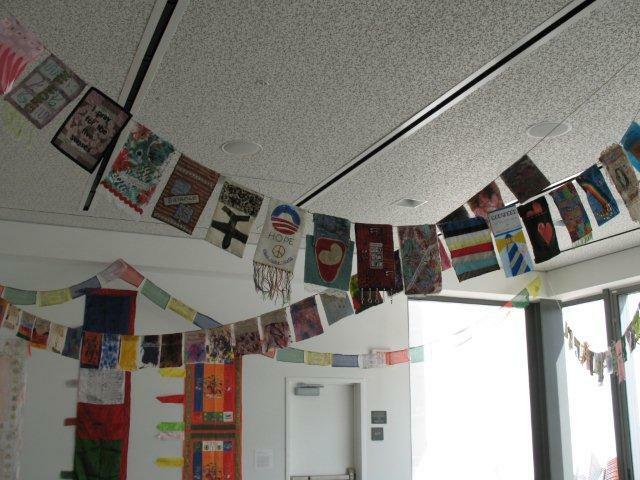 Flags, approximately 5" x8", need to arrive at the museum by September 21. 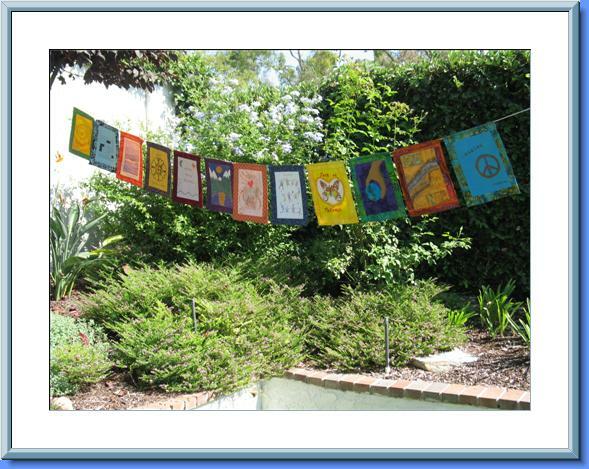 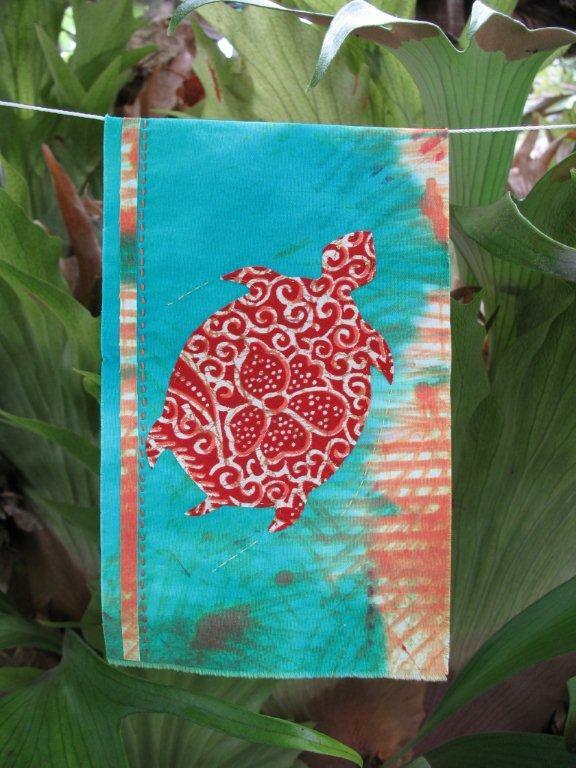 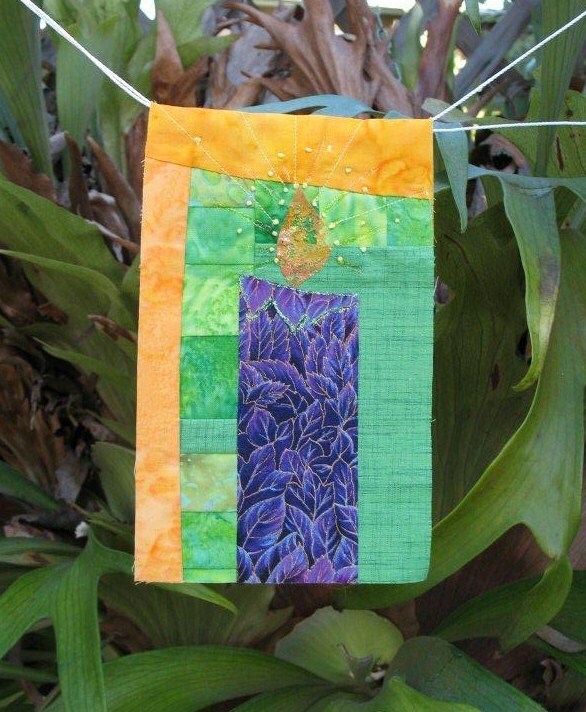 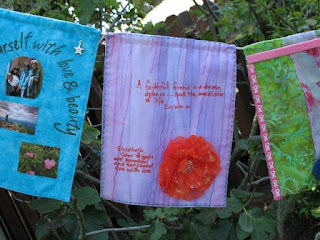 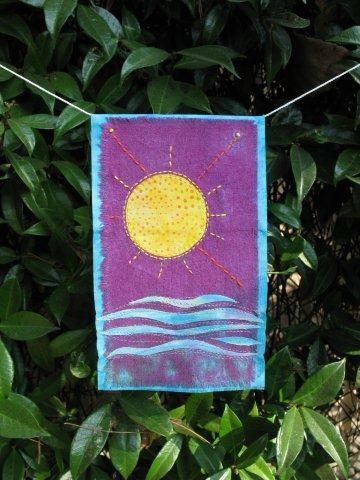 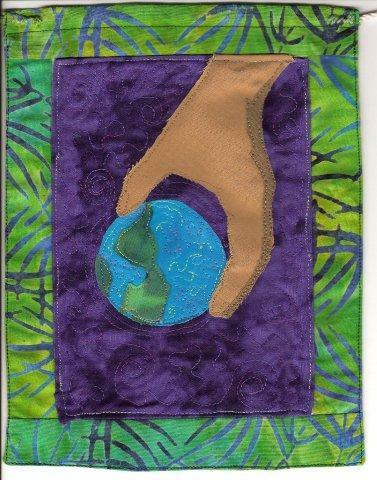 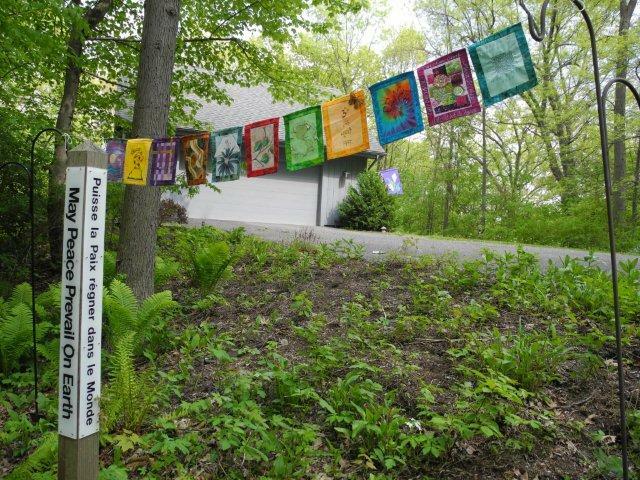 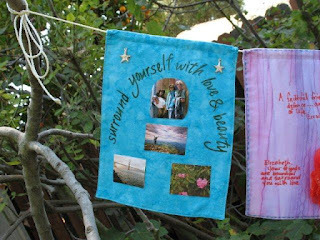 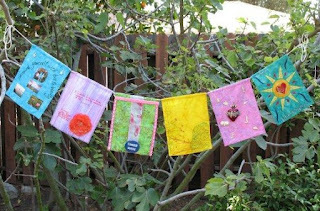 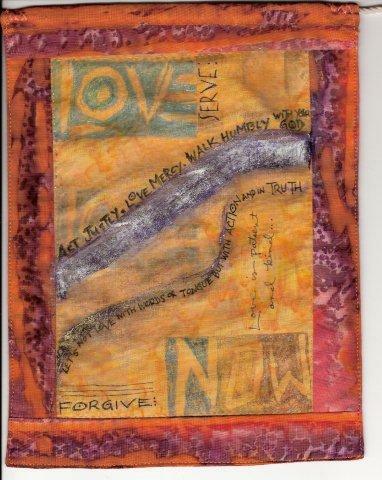 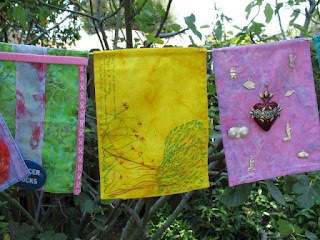 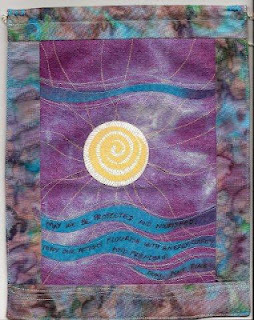 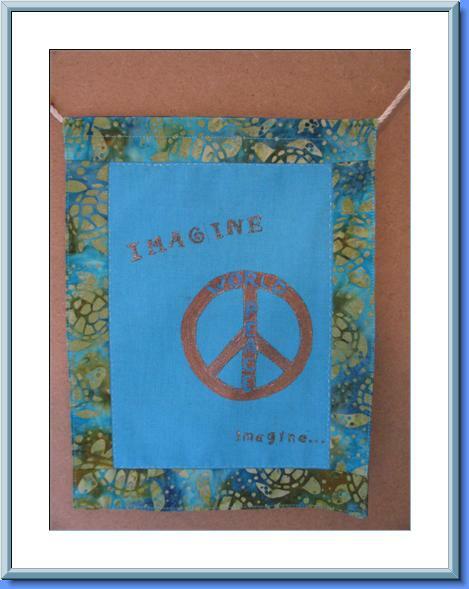 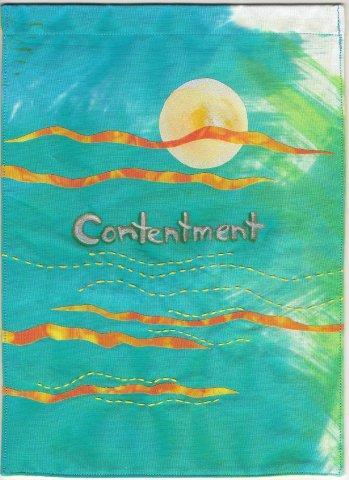 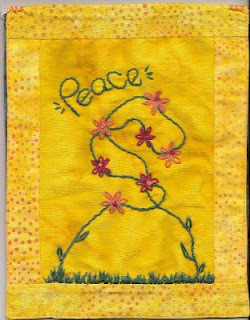 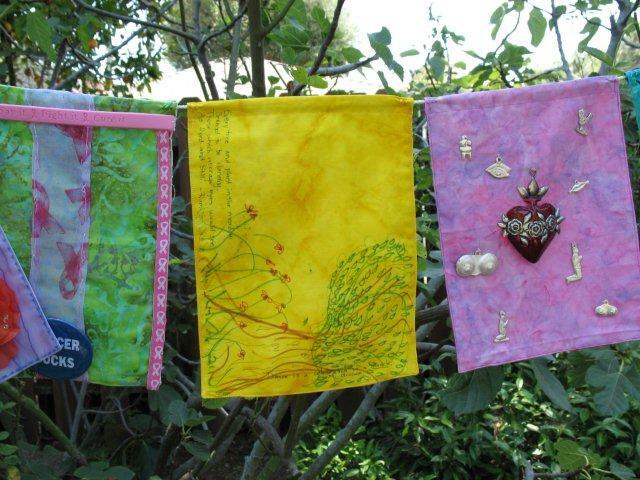 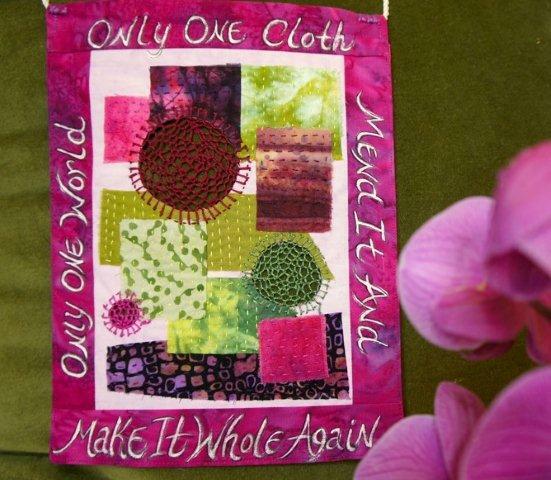 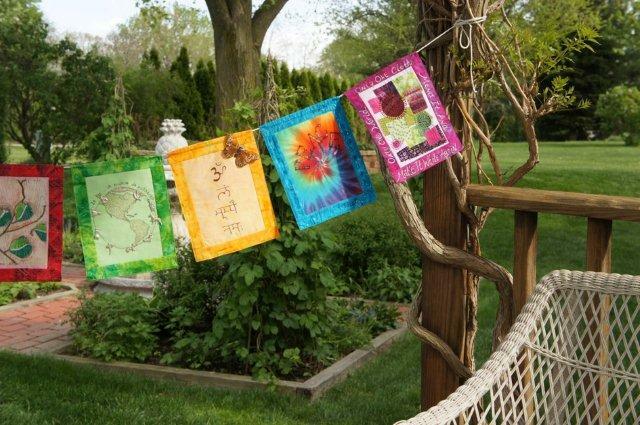 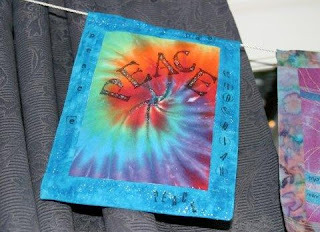 See details at the Prayer Flag Project blog.